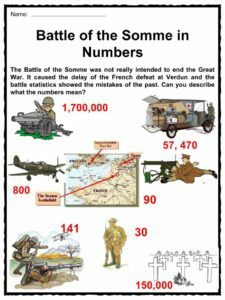 One of the largest battles of the First World War (1914-1918), was the Battle of the Somme, also known as the Somme Offensive. 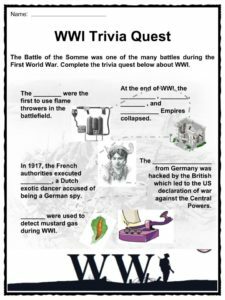 It took place on the 1st of July 1916 near the Somme river in France, and the joint Franco-British campaign that took place against the Germans was considered one of the bloodiest military battles in war history. 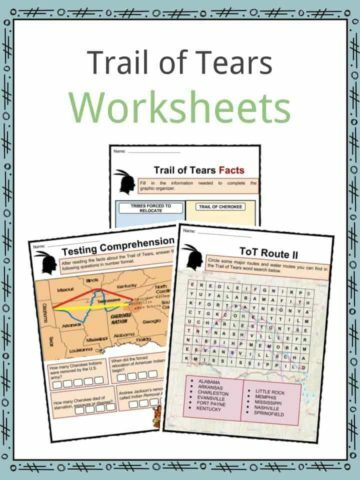 For more information on the Battle Of Somme read the fact file below or download our comprehensive worksheet pack to utilise within the classroom or home environment. The battle was fought between July and November of 1916 and the belligerents were the Allies and the Central Powers. 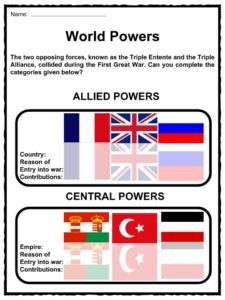 The Allied Powers were predominantly composed of Great Britain, France, Russia and Italy, with the United States joining later in 1917. 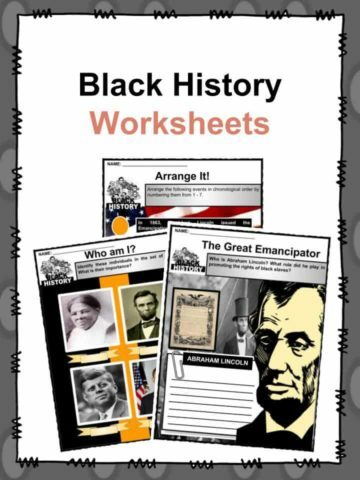 They were led by their respective heads of state: Herbert Henry Asquith, Aristide Briand and Woodrow Wilson. Germany, along with the Austrian-Hungarian Empire, the Ottoman Empire, and Bulgaria were the members of the Central Powers and were led by Prince Max von Baden of Germany and Heinrich von Clam-Martinic of Austria. It was the first offensive campaign along the Western front after two years of trench warfare with the Germans. 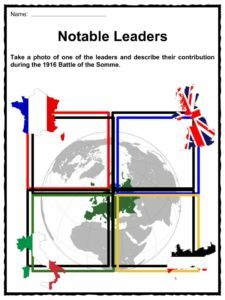 The British forces, led by Gen. Douglas Haig and Gen. Douglas Rawlinson, started the attack from the northern region of Somme, while the French troops came from the south. The severe losses suffered by the French at Verdun led the Allied High Command to plan the offensive attack at Somme. The British artillery bombardment failed to destroy the heavily-built German front line as most of the munitions used were ineffective. The week-long bombardment released over 1,738,000 shells, but German soldiers sought shelter in underground bunkers and were armed with heavily equipped machine guns, hence the British troops were easily gunned down from the opposition trenches. On July 11, Gen. Rawlinson’s troops covered the first German trench, which sent the latter seeking the support of forces from Verdun. After eight days, Von Gallwitz led the reorganization of the German forces. By September 15, the Battle of Flers-Courcelette made use of the first battle tanks, which were categorized as male and female. 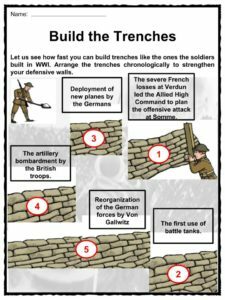 The now-famous method of trench warfare was used during many of the battles on the Western Front. It was a system of digging deep trenches in which soldiers could shelter from artillery fire, and was used as a defense against approaching enemies. 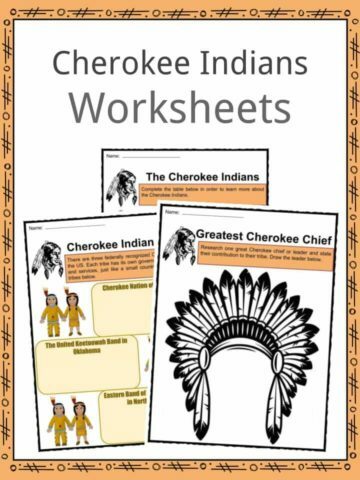 This was achieved by by establishing networks of tunnels and trenches that were interconnected and positioned so that the soldiers could be best protected. In between opposing trenches was “No Man’s Land”, which was usually guarded with barbed wires and land mines. By August, the Allied naval forces had blocked both the North and Adriatic Seas, causing a food shortage in Germany. The German armies responded to the British tanks by deploying new planes in September. 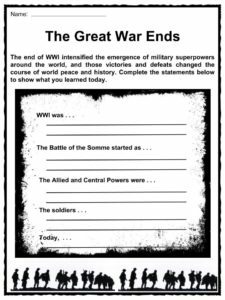 The Battle of the Somme gained a lot of criticism due to the huge Allied casualties. It was known as the bloodiest military battle in history for incurring a total number of 420,000 British casualties, 200,000 French deaths, and nearly 500,000 German losses. Gen. Haig was also criticized for letting the campaign last until winter. The Battle of the Somme lasted until November 18, 1916 and as a result, some of the casualties were due to heavy snowfall that winter. In a grim ratio, the Allies lost around 89,000 men for every mile they advanced. 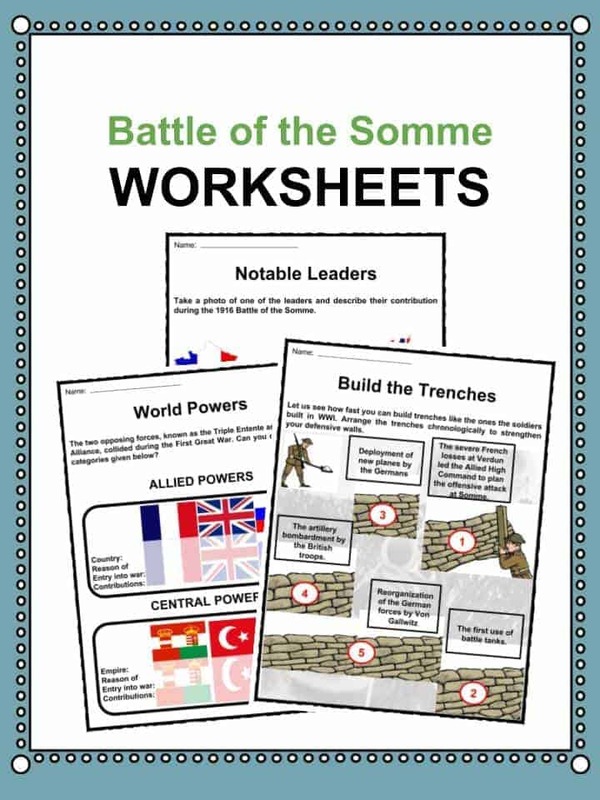 This bundle contains 11 ready-to-use Battle Of Somme Worksheets that are perfect for students who want to learn more about the Battle of Somme which took place on the 1st of July 1916 near the Somme river in France, and the joint Franco-British campaign that took place against the Germans was considered one of the bloodiest military battles in war history.